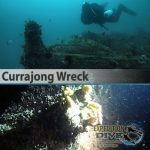 Wollongong is a great diving destination for both shore and boat dives. 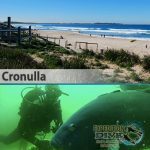 The variety of Wollongong’s dive sites provides something for everyone, from novice to advanced divers. 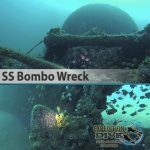 There are lots of Wrecks and reefs to explore teeming with a huge diversity of underwater creatures, you will not be disappointed. Scuba Diving With Seals! Martin Island / Port Kembla Seasonal – Start Early June to Oct/Nov! Seals are one of the most fascinating creatures you can ever dive with. All they want to do is play with you, and if you don’t want to play with them then they will find another scuba diver or something else to play with. The seals love to show off their agility, tug your fins and copy your somersaults! Expedition Dive runs small groups of certified divers down to Wollongong on the weekends. 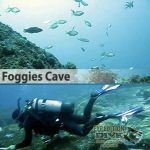 These are very popular dives, so make sure you book early. Exclusive custom schedule boat charters available for larger groups. 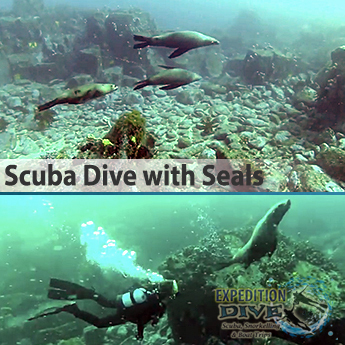 Diving with seals is a thrilling experience of a life time! Seals are slow and awkward when they were above the water, but shows amazing agility when they were under water. They live in closely knit colonies and it often happens that when we go scuba diving near them that we encounter dozens of them underwater at the same time.